What Is The Relative Buying Power Of Kids? • Teens in the United States spend approximately $160 billion annually. • Children (up to 11) spend approximately $18 billion annually. • 8- to-12-year-olds spend $30 billion of their own money each year and influence another $150 billion of their parents' spending. How Much Do Children’s Opinions On Products Really Sway Parents? How Many Advertisements Do Children See A Year? How Can I Use This Information To Put Together My Campaign? Alright, so now we know about the purchasing power of children, how it affects their parents, and we have a pretty good idea about what the competitive landscape looks like for targeting this group. So, how can you use this information to kick off an eye-catching aerial campaign? Let’s get started. This first tip is especially important for children that have not yet learned how to read. By having a fun, creative design your ad could be what gets them interested. 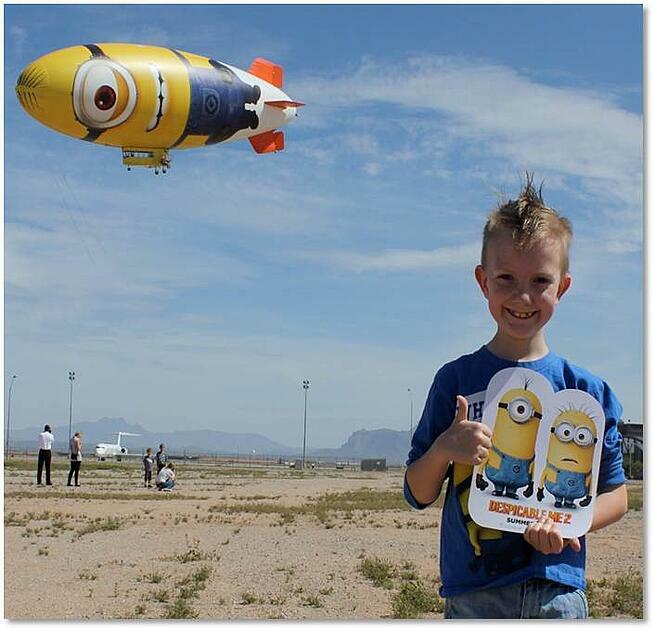 The Despicablimp, video below, displayed a huge minion across the length of the ship. For this campaign, it didn’t matter if a child could read, the creative was a larger-than-life reminder that the new Despicable Me movie was coming to theaters. This eye-popping blimp grasped the attention of children, parents, and the media alike. Who doesn't love a blimp! Especially one with a giant minion on it. Parents are always looking out for events and destinations that are child-friendly. Your brand should maximize visibility to families with young children by targeting kid-friendly events and areas with aerial banners and advertising blimps. Beaches (and big lakes like Lake Michigan), baseball games, amusement parks, and state fairs all offer a great opportunity to reach this demographic in large numbers. One of the best things about aerial advertising is that your blimp or banner will own the sky above. Children are fixated on things that fly. 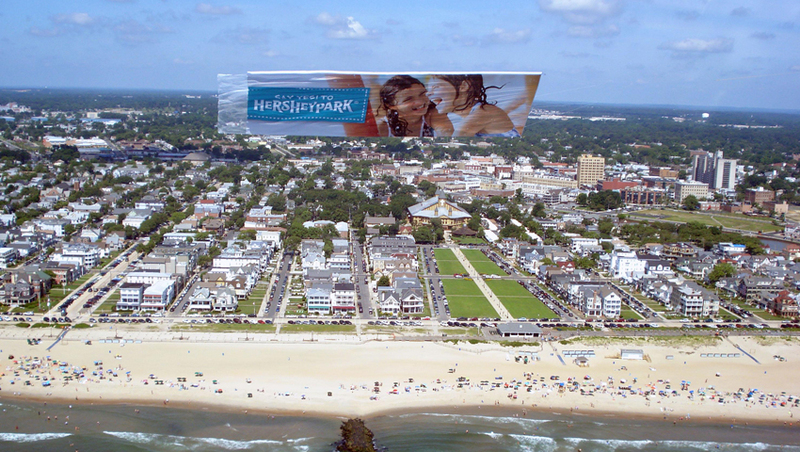 Your aerial billboard is bound to get kids and parents talking. If you are in the business to selling to kids, you need to get to know their interests. Children between the ages of 8-10 look for entertainment and are attracted to things that offer fun. Children between 0-8 are attracted to images of other children having fun. Check out the airplane banner for Hershey’s water park above. This ad is offering something that is fun, shows an image of children having fun together, and is appealing to parents because it is showing something that the whole family can get involved in together. If you have any questions about aerial banner or blimp advertising services we can answer them. Our aerial coordinators can help you determine the right markets for targeting children with aerial advertising. They can also help you pick the right creative and copy to make a maximum impact. Give us a call today, or click below for a free consultation. We want to know your thoughts! Leave us a comment below.